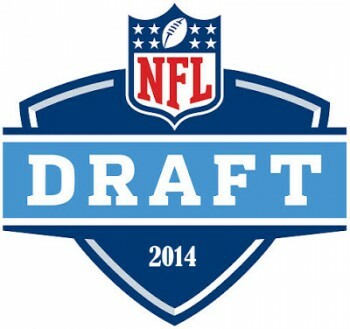 The NFL draft is in the books and despite a ridiculous amount of hype and media coverage surrounding the event it’s really a non-factor it determining who will win Super Bowl 2015. Part of the reason for this is the design of the draft with the worst teams getting the best players but it has more to do with the nature of NFL football. It’s a team game that places a strong emphasis on coaching and one in which its hard for a single player—even a great player—to ‘carry’ a team on his own. In other words, the post draft futures odds for Super Bowl winner look very much the same as they did before the draft. The Denver Broncos remain the Super bowl betting favorite to redeem their Super Bowl performance from last season and win this year. The Broncos are +400 to win the Super Bowl while the defending champion Seattle Seahawks are +575. This is due to the same dynamic that resulted in Denver being favored in last season’s Super Bowl—the Peyton Manning factor. Manning’s high profile and general likability makes Denver the most ‘public’ team in the league. Unless they get off to a horrible start in the 2014 NFL season they’ll likely be overvalued on a game by game basis as well. The San Francisco 49ers are the #3 choice to win the Super Bowl at +625. The Niners played the eventual champion Seahawks tough in the NFC Championship game but have had no shortage of off field distractions and internal discord since then. The only other team at single digit odds are the New England Patriots at +850. The Patriots also made their conference championship game but didn’t provide much of a challenge for the Denver Broncos. There’s a big jump to the next teams—the Green Bay Packers (+1200) and New Orleans Saints (+1500) are the only teams priced at less than 20/1 odds. They’re followed by the Carolina Panthers (+2400) and Indianapolis Colts (+2500). There are five teams priced at +3000. The biggest longshots are the Jacksonville Jaguars and Oakland Raiders, both priced at +20000. The team with the first pick in the NFL draft—the Houston Texans—are priced at +40000 and have experienced little or no betting interest despite the selection of Jadeveon Clowney.